Here are the winters and most irritating thing is to have extremely dry scalp which just keep flaking. Flaking is usually co-related to dandruff. And such dry itchy scalp when tempered leads to breakage of hair increasing the count of hair fall. Oh God! I so very much hate it. Hair fall is something every person, men or women is worried about. These days you see man go bald at very age of early 30’s. It’s really a very sad situation. There are many hair clinics who charge you bomb for this hair fall treatments as it has become a kind of necessity. Due to increase pollution the number of people suffering from hair fall has also drastically increased. Every single person you meet will talk about hair fall specially females, that could be young girl, post pregnancy female or a middle aged lady. What is dandruff and what are its causes? 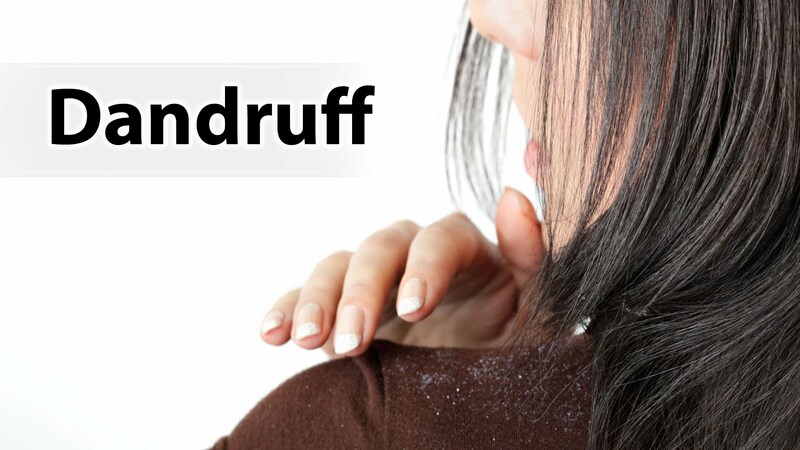 Dandruff or Seborrhea is the most common scalp disease found in population. It is mostly seen in young adolescents but can also target you at any age of life. People who are well read and surf internet will try out all the Shampoos in market and conditioner. Anti-dandruff oils to scalp moisturizers and what not. But most of the time this dandruff just comes back without any invitation ;). What else does it get along with it? It is closes related to skin problems like pimples of forehead, acne, skin rashes. All this is quite irritating. Isn’t it? While socializing we are so conscious to hide it that we forget to enjoy the moment. I closely have gone through all such times. And I am happy that I no more fall in this category. Poor Brushing Of hair: Brushing increases blood supply to the scalp and also supplies more oxygen. It is advisable to brush your hair at least twice in a day. Poor brushing can lead to higher risk of dandruff. It is very natural for the scalp to shed the dead skin periodically. So if it is not combed properly there would be accumulation of this cells which will eventually form dry white flakes. Excessive use of hair products: Hair styling has become a necessity for women as well as men. Without styling its not possible to step out of the house. In that case you have to keep in mind to use these hair styling products likes gels, sprays in moderation as this will aggravate your dandruff problem as they are loaded with chemicals. Improper way of Shampooing: If you don’t wash your hair after every single day then there are high chances of developing dandruff and itchy scalp. Try and use herbal shampoo as common shampoos will have lots of chemicals which will make your hair dry. So consider using more of natural and herbal products to your hair. In case you use conditioner make sure that it doesn’t come in contact with the scalp. Wash is of thoroughly wherein there is no residue left. Improper Diet: Diet has changed big time as compared to last few decades. There is drastic change in the quality of food available. Now people eat more of processed food, refined sugar, fatty and fried food that leads to inflammation, which in turn leads to flaking and dandruff.So if we stick more to fresh and home cooked food then we can eliminate risk of developing dandruff. It is advisable to limit the intake of salt, sugar and trans-saturated fat. Eat more of foods which are rich in anti oxidants which will reduce inflammation and also oxidative stress in your body which are involved in killing the healthy cells of the scalp. Stress: Stress of any kind will have destructive effect on the body. So stress which leads to unhealthy eating or not eating nutritious adequate food, Less water intake or irregular meal timings and also irregular sleeping patterns affect your scalp health. Try to manage stress with meditation, yoga or some sort of physical activity like dance, exercise, aerobics.Staying with stress for a longer duration is dangerous. Oily Skin: Oily skin is as problematic as dry skin. Seborrhoeic dermatitis is commonly seen in people with oily skin. It causes formation of white to yellowish flakes on oily regions of the body such as scalp, face, eye brows, side of nose, back and inside of ear. Dry Skin: People having dry skin also have dry scalp. People with dry skin commonly complain of dry dandruff more often. The problem increases during winter season because of dry weather and cold wind. They suffer from a type of dandruff that is not oily and the flakes are smaller in size. Lemon juice: Massage 2 tablespoons of lemon juice into your scalp and let it sit for a minute. Mix 1 teaspoon of lemon juice into 1 cup of water and rinse your hair with it. Repeat daily until no longer needed. Olive Oil: Apply olive oil before washing your hair. Let it do its stuff for about 5-10 minutes before washing your hair. Egg yolk: take 2-3 egg yolk and apply to the scalp. Cover with plastic bag. Leave it for one hour. Wash it thoroughly with shampoo. Avoid stress and stressful conditions: Stress can cause dandruff, so try to exercise your stress away or deal with your stress in other healthy, effective ways. Fenugreek seeds: Soak 2 tablespoons of fenugreek seeds overnight. The next morning, grind the seeds into a smooth paste, add some yogurt and apply on your scalp and hair. Wash away after it dries. Baby oil: Apply baby oil to teh scalp. Allow it to stay on scalp over night. If possible cover hair with towel. Wash hair with good anti-dandruff shampoo. Baking Soda: Use baking soda instead of regular shampoo. Lemon juice and Curd: Squeeze the lemon into the curd and mix together. Keep the piece of peel from the lemon. Apply the curd on your hair. Use the peel to apply and rub through with. Leave for 10minutes. Wash hair with shampoo. Baking Soda and Lemon: Mix freshly squeezed lemon juice with baking soda.Apply on scalp for few minutes and then rinse with water. Coconut oil: Put coconut oil on your scalp, try to avoid getting it in the rest of your hair.Wash coconut oil out. Make sure you get it all out. You may have to wash your hair twice to get it out, but once should be fine. Tea Tree Oil: Pour 1 tablespoon of tea tree oil into 1 cup of warm water in a squirt bottle. Shake well. After shampooing, spray the mixture all over your scalp, massage, and let it sit for a couple of minutes. Pat the excess moisture out, but don’t wash it out. Mouth Wash: Take one part of mouth wash and ninth part water. Pouronto hair after the usual hair wash.
Apple Cider Vinegar: Take equal amount of water and apple cider vinegar. Wash you hair normally with shampoo and then pour this mixture and allow it to stand for few minutes. After this rinse with warm water. Aspirin: Powder 2-3 tablets of aspirin. Add it to your regular shampoo. While shampooing you hair allow shampoo to be on your head for 2-3 minutes. Cedarwood oil: Mix essential oils of cedarwood (seven drops) cypress and juniper (each ten drops) in 50ml of carrier oil.Rub nicely on to your scalp and leave for an hour. To remove apply neat mild shampoo and wash with warm water. Banana And Vinegar: Add one banana to 2 cups of vinegar. Make paste out of it. Apply paste on to your scalp and allow it to stay for 5-10 minutes. Rinse it with water. Baking Soda and Vinegar: Wash you hair with Cold water. Add vinegar to the equal quantity of water and damp the scalp. Repeat the same procedure with baking soda. Keep each mixture for 3-5 minutes on scalp and then rinse it. Yoghurt: Apply yoghurt or curd on scalp and hair and leave for 10-15 minutes. Rinse it with shampoo. Neem and Olive Oil: Take 2-4 caosules of neem capsules and add it to 4 tablespoon of any oil. Make paste and apply to the scalp. Keep for one hour to over night. Wash with shampoo and conditioner. Fuller Earth: Make a paste of water and fuller earth and then add lemon juice into it.Apply it on your hair and scalp. Leave it for 20minutes. Egg Oil: Massage egg oil well into the scalp for 5-10 minutes and leave it on overnight. Coconut and honey scalp scrub: Mix coconut oil, olive oil, yoghurt and honey together.You’ll want your four ingredients to be in a roughly 2:2:3:2 ratio so that they form a paste of medium consistency – smooth, but not so liquid that it will run off of your head. Add more yogurt and honey to thicken as needed. Mix the mixture into your scalp. Let it set for 30mins. Wash it with shampoo till you feel the scalp is clean. Aloe Vera: Apply Aloe Vera gel to the scalp 15 minutes prior to washing your hair. After 15 minutes, shampoo and wash it as normal. Tulsi and Amla: Make a paste of tulsi and amla powder using water. You can also add in yogurt. Then apply this mixture on your scalp and wash away when it dries. Apple juice: Apple juice also helps you keep dandruff in control. Massage your scalp and hair with apple juice. You can possibly it as a final rinse for your hair. Green Gram: A paste of green gram powder mixed in yogurt is an effective way to treat a flaky scalp. Hibiscus: Grind some hibiscus leaves and apply the paste on your scalp.Wash after 40 minutes. Hot Oil Messages: Hot oil massages are said to be the oldest and most reliable methods to treat dandruff. Good herbal brand hair massage oil will help you treat dandruff easily at home. Listerine: Mix 2 parts water with 1 part Listerine. After you shampoo, spray or pour the solution onto your scalp, massage in well, and let sit for 30 minutes before rinsing with water. Sunlight: There is no scientific explanation to this. But it is seen that people who are exposed to sunlight show reduced dandruff issues. Common Salt: Gently massage 3 tablespoons of salt into your dry or slightly dampened scalp for 2-3 minutes. Shampoo immediately afterwards.While rubbing salt on your scalp may not sound like spa treatment, it can actually feel quite pleasant, especially if your skin is itchy. This are the best ways to get rid of dandruff or remove dandruff. Let us know your experience or what are the problems you are facing?